As a homeowner, it is your responsibility to do the proper maintenance of your house. Since this is the case, you need to make sure you understand why getting a rain gutter is important. The use for this rain gutter becomes even more important when things start getting bad. In case of water damages, you will also need to pay expensive bills of gutter repairs. Rain gutters have proven to be beneficial for your house’s foundation. When the right gutters are installed in your house, they will make sure the rainwater is being removed effectively. However, if this guttering system does not function properly, the chances of the water seeping into your walls will increase. This way the walls will become weak and there will be small water pools on the ground. With excessive water on standby, there will be hefty bulls that you have to pay for. Water can get stuck anywhere inside your house, including the space cracks in the walls or in tiny openings in your house. This is why it is important to make sure water stays out of your house (including the windows and roof). Moreover, when the excess water is getting disposed the right way, it will not be able to seep into any weak points of your house. The earlier you deal with preventing any leaks, the better it will be. The best thing would be to invest in a rain gutter because it will prevent the leaks. Often, the reason for water damage is the reason why your house is damp. This usually happens when the water gets penetrated into the walls and it produces mold. Another sign of determining dampness in your house would be to see if the paint or the wallpapers are peeling off the walls. In horrible cases, water is visibly running down the walls. Fortunately, with the help of rain gutters, all of these issues will be prevented. If there are not rain gutters or ineffective rain gutters in your house, the water will run down your walls. When the water is running down at ground level for excessive time periods, it causes damage to the property and ruins your garden as well. Because of this issue, there have been many gardens that have turned into muddy messes because of water. Just by installing rain gutters in your house, you will be able to save your house and foundation to stay protected. Even though water is the best natural resource in the world, it can be damaging, which is why investing in a rain gutter is the best option. If your house does not have a rain gutter, you need to make sure you are purchasing one as soon as possible. 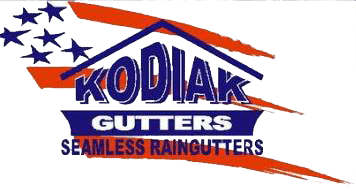 To get your hands on the most affordable and high quality rain gutters, make sure you check out Kodiak Gutters. Categories: Aluminum Gutters Copper Rain Gutters Kodiak Gutters Prevent Decay Rain Gutter Rain Gutters Seamless Rain Gutters Steel Gutters Water Runoff Why do you need Rain Gutters? Why do you need Rain Gutters?